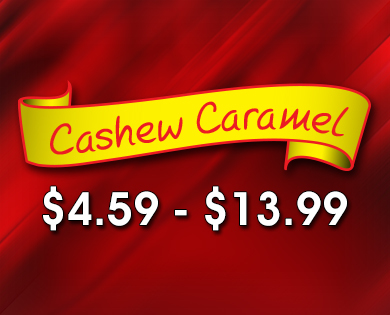 > (CA3) Cashew Caramel- Freshly roasted cashews coated in caramel combined with our rich and buttery Caramel Popcorn. A delicious sensation. Freshly roasted cashews coated in caramel combined with our rich and buttery Caramel Popcorn. A delicious sensation.